As a child of the turn of the century, I have to admit that I’ve been pretty disappointed with the way “the future” has unfolded so far. I’m still waiting for the flying solar-powered car I was promised some 15 years ago by “Popular Mechanics for Kids,” and while I’m a big fan of my smartphone, a small part of me thinks of Leia’s hologram message to Obi-Wan in Star Wars and knows that Siri just does not cut it. In all seriousness, one of the biggest ways that the present has failed to live up to the expectations of our past selves is in the simple, everyday reality of how our clothes are made. There are few industries quite so thoroughly saddening as the fashion industry. Ask someone about the beautiful jacket he or she is wearing and their face lights up. Ask them how it was made and the conversation trails off abruptly. Why? Because we all know that our relationship with clothing is characterized by varying degrees of waste and exploitation. The 60 million people in the United Kingdom, for instance, have an estimated £30 billion in unworn clothing in their collective closet. Factories in Bangladesh routinely fail to pay their workers even the lowest of minimum wages, to say nothing of the infamously dangerous working conditions. The Chinese textile industry creates approximately 3 billion tons of soot and 2.5 billion tons of wastewater discharge annually. 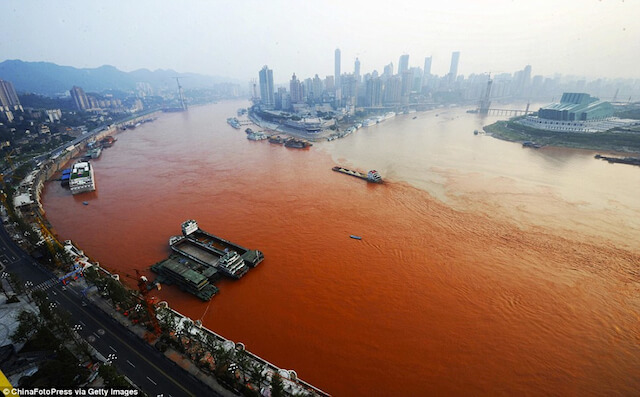 In 2012, the Yangtze River literally ran red with textile dyes that evinced this sad truth. Thankfully, this state of affairs is not a foregone conclusion. Sam Cooke once sang that “a change is gonna come.” I can tell you from my experience working with some of Canada’s best and brightest social entrepreneurs that it’s already here. Are the people who manufacture our clothing treated well? Are they well compensated? Are their work environments safe? Do the companies they work for support the growth and empowerment of people in the community? For social entrepreneurs building the future of fashion, the answer to all of these questions must be a resounding “Yes!” Oliberté, a Canadian footwear company operating in Ethiopia and a registered B Corporation, is a fantastic example of where fashion is going in this regard. According to its B Impact assessment, Oliberté’s worker treatment and community impact scores are fantastic, even when compared to other corporate do-gooders. B Corp and Fair Trade certifications. There has been a lot of news lately about Swedish mega-retailer H&M’s pledge to source 100% of their cotton from sustainable sources by 2020. The decline in water waste, fertilizer use and future carbon emissions certainly makes this a laudable goal, but what about the astronomical quantity of unwanted clothes that are already out there? Canadian social enterprise Local Buttons seeks to tackle that problem within the context of Haiti, where thousands of tons of foreign-donated second-hand clothing are shipped annually. Local Buttons works closely with skilled Haitian tailors and artisans to create sustainable, ethical professional wear from second-hand materials. What makes this enterprise unique—and hopefully a herald of future fashion—is that Local Buttons shows how upcycling can be harnessed on an international level and integrated with conventional manufacturing. The company sources entirely locally (in Haiti) and the manufacturing process is free of dyes, large amounts of water and other inputs with sizable environmental impacts. The last of our future of fashion trends may not seem obvious, but it cuts right to the heart of the matter. The present relationship between fashion designers, retailers and consumers is the basis from which the negative outputs we identified earlier originate. Luevo, a Canadian crowdfunding platform for fashion designers, believes it has an answer to a chunk of the wicked problem that is today’s clothing industry. Luevo allows consumers to pre-order products before they are manufactured, enabling designers to produce in line with demand, reducing inventory and waste. This also allows clothing producers from small designers to large corporations to improve their margins by cutting waste-related loss. It also allows smaller designers to avoid some of the prodigious risk that comes with producing a clothing line without any guarantee of sales. Luevo designers are also searchable by options such as ethical, eco-friendly and local production. We have the power to define the future of fashion through more transparent, collaborative, thoughtful production and consumption. These Canadian social entrepreneurs are showing us that we are well on our way.